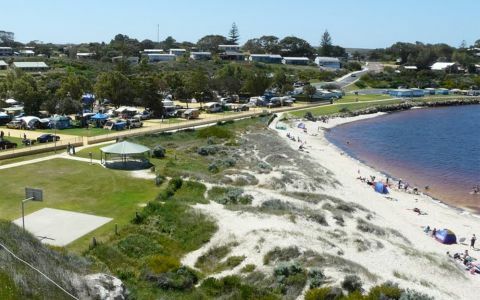 Welcome to Branchy's Holiday Homes in Moore River, Western Australia.We are the proud caretakers of various homes in Moore River providing accommodation for holiday makers for the past 25 years..
Our selection of holiday homes are here to fit the needs and budget you that you desire. All holiday homes are fully self contained and guests only have to supply own linen and personal items. All holiday homes are within walking distance to either the river or the ocean. 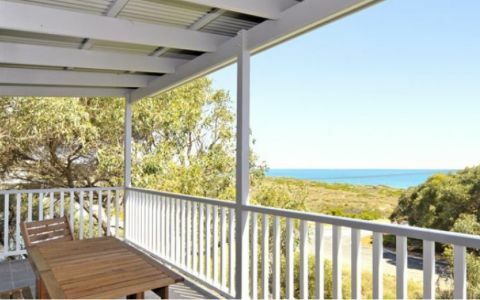 Choose from a range of beautiful holiday homes - Some with ocean views, and some with river views. Others have bushland or golf course views. Nothing is too far from all amenities and activities. Large 2 storey family home with 2 bathrooms, includes BBQ, microwave, refrigerator, washing machine and satellite TV. Family home with 2 bathrooms able to sleep 12, including a BBQ, microwave, refrigerator, washing machine and satellite TV. Family home with 3 bedrooms and 1 bathroom with reverse cycle air-con, satellite TV and bread maker if you care to bring your own ingredients. Large accommodation house with 1 bathroom including BBQ, microwave, refrigerator, washing machine, kettle, toaster, vacuum, Blu-ray DVD player and satellite TV. Holiday home with 1 bathroom, BBQ, microwave, refrigerate, washing machine and satellite TV. Holiday home with 2 bathrooms, gas BBQ, microwave, refrigerator, washing machine, TV, AC all in a self contained area. Modern holiday home with 3 bedrooms and 4 bathrooms, TV, BBQ area, microwave, refrigerator, washing machine, reverse cycle AC with views to the golf course and Silver Creek vegetation. Holiday home with 1 bathroom including gas BBQ, microwave, refrigerator, washing machine and satellite TV. Pets negotiable. Pets are negotiable for Whats Moore and Golfers Lookout holiday homes. All other properties have no pet policy. Tigeen Moore and Ninettas View have a check-in time at 1pm and check out at 10am. Please contact us for our cancellation policy and terms and conditions. Please check details of each individual holiday homes prior to booking as conditions and amenities may differ to each other. Thank you to Dot for a wonderful weekend, the house was great and we will definitely be back!